When a fisherman receives a mysterious letter about his beloved’s demise, he sets off in his skiff to find her. A whale swallows him, then deposits him on the Isle of the Dead, which is ruled by a trio of giant bird gods. The fisherman must negotiate with the self-proclaimed leader—a narcissistic, bullying crow—to return his beloved to physical form. 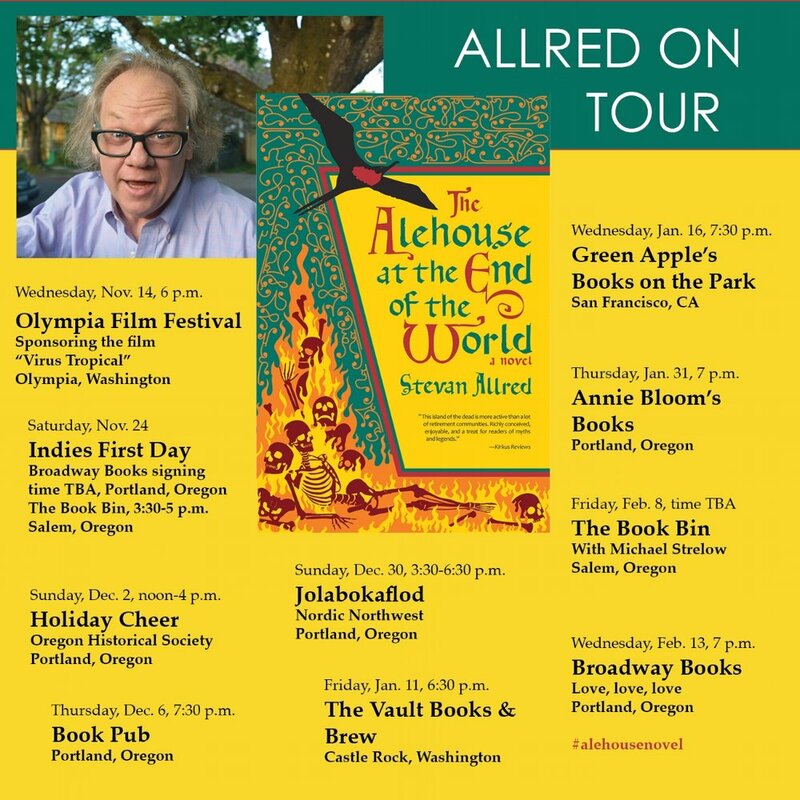 In The Alehouse at the End of the World, an epic comedy set in the sixteenth century, bawdy Shakespearian love triangles play out with shapeshifting avian demigods and a fertility goddess, drunken revelry, and bio-dynamic gardening. A raucous, aw-aw-aw-awe-inspiring romp, Stevan Allred’s second book is a juicy fable for adults and a hopeful tale for our troubled times. “Stevan Allred has spun an original myth with its own vocabulary and weather system. The imagery alone has impressed new memories upon my psyche. 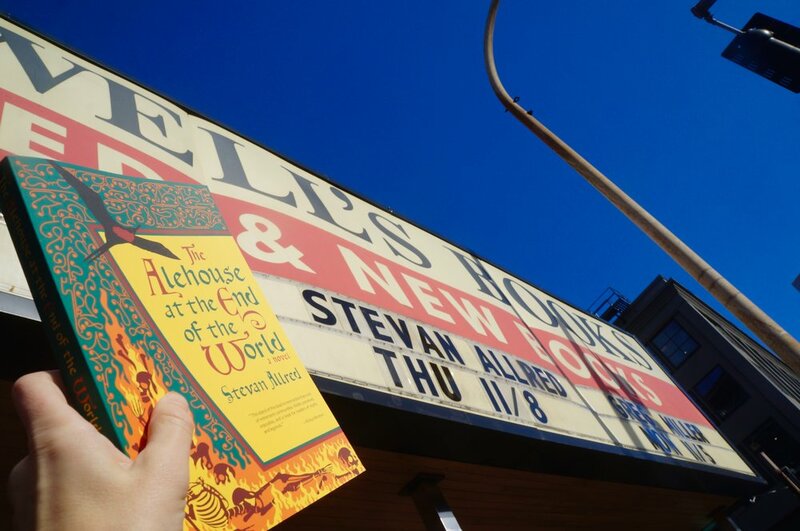 Peculiar and inventive yet true to the human condition, The Alehouse at the End of the World holds familiar tyrants and temptations, confronted in the most unexpected ways by an unforgettable cast. The experience I found in these pages is the reason I read—to reach inconceivable places, to be touched, to be changed. By canoe, winged goddess, or whale, I would follow Allred anywhere.